1. Ultrasonic:Ultrasonic uses sonic vibrations, works 1 million times per second (1 MHz).The ultrasonic wave could stimulate skin tissue,improve the permeability of the membrane,reduce wrinkles and invisible fine lines,to make skin look younger and healthier.Ultrasounds generate frictional heat that accelerates blood circulation, muscle relaxation, break down cellulite and break out the fat. 2. Diamond Dermabrasion:Diamond dermabrasion provides a non-surgical skin repelling procedure by using sterile diamond heads to wear or rub the top layer of skin. Then vacuum the particles together with the dirt and dead skin again. 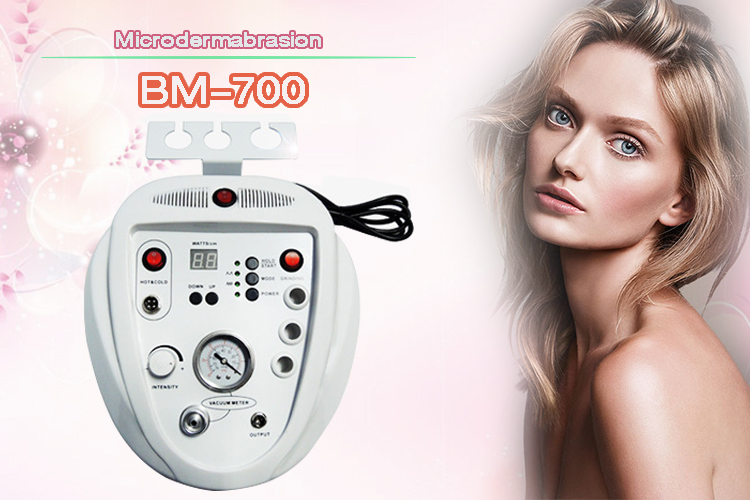 This procedure removes skin debris,imperfections, blemishes, wrinkles and unwanted pigmentation on the skin. 3. 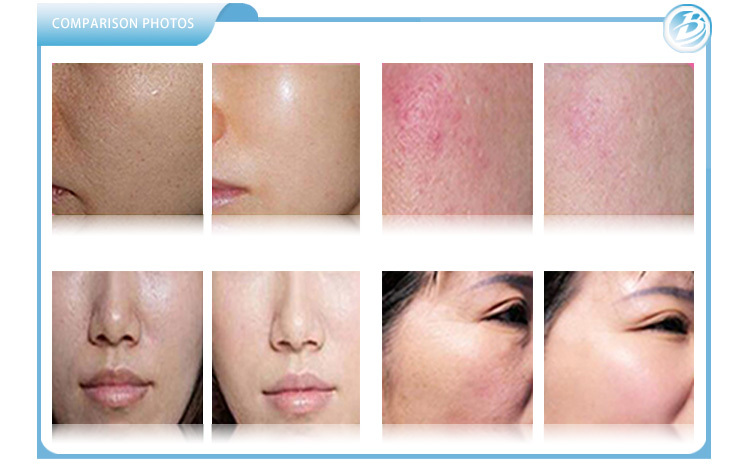 The treatment of cold and heat function:The cold treatment function is specially designed for claming down the skin after peeling. The hot treatment function is designed to accelerate the absorption of nutrition. Splattered light, Breast lift, Acne, Skin Susceptibility, Reducing Inflammation and Smallpox.